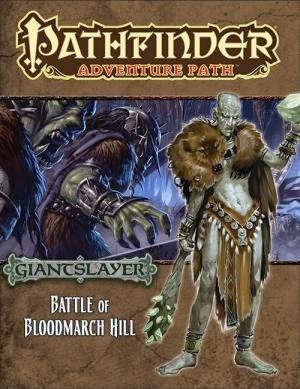 It only takes me a casual glance at recent and upcoming adventure paths (or what passes as APs for WotC) to notice that Greyhawk's influence is still strong with writers and designers of RPG leaders Pathfinder and D&D respectively. An enterprising Greyhawk DM could thus easily use the various AP modules below to their own advantage. First I'll touch on the most obvious, this spring's Elemental Evil is set in the Forgotten Realms, but I'm sure its theme of ancient elemental cults and the Elder Elemental Eye is epic enough to work in the Greyhawk setting with little revision. If the tables had been turned I'm sure the same would be true for Faerun. It's the near compatibility of both medieval worlds that make these type of storylines enticing for WotC's creative team. "Deep in the Mindspin Mountains, a storm giant warlord known as the Storm Tyrant has seized control of a cloud castle and an Orb of Dragonkind, and is gathering an army of giants from across western Avistan—first to bring the orc hordes of Belkzen under his banner, then to conquer the neighboring realms. Heroes defending the human town of Trunau from an orc raid discover that the attack is just a precursor to the Storm Tyrant’s larger plans. Working their way through an abandoned border fort, an ancient giant temple, the tomb of an undead frost giant, and an elite fire giant training facility beneath a dormant volcano, the heroes eventually take the fight to the Storm Tyrant himself inside his flying fortress. Can the giant army be defeated before it can conquer the human lands of the Inner Sea, or will all of Avistan bow down in fealty to the Storm Tyrant?" Paizo has done many original Pathfinder APs since their departure from doing Greyhawk in Dungeon Magazine, yet once in a while I see a storyline set in Golarion that could fit perfectly in Greyhawk and this has to be one of them. Even though giants are standard fantasy tropes, you can't read that and not think of the classic Against the Giants series, which is surely the inspiration for this story. Paizo's newest AP is well timed because in my opinion Wizards could just as well done the same storyline instead of Elemental Evil. "Numeria has a long history of mystery and wonder buried under its rugged landscape, for on that one fateful night thousands of years ago, the Rain of Stars scarred the land. The fragmented remnants of a ship from beyond the stars fell from the sky, scattering strange technological ruins and deadly perils across the land. Today, these sites are feared by the barbaric tribes and coveted by the sinister spellcasters of the Technic League. Yet something worse than brutish berserker or super-science wizard has risen to power in these hidden technological halls. The Iron Gods are ready to make their presence known, and if they are not opposed by the region’s newest heroes, a scourge unlike any the Inner Sea has seen will arise! From small Numerian towns to strange technological ruins to the region’s infamous capital of Starfall—and perhaps beyond"
Though this one is probably over the top for your average Greyhawk campaign, you can't deny modules like Expedition to the Barrier peaks and places like the City of the Gods or Blackmoor aren't in a perfect position to introduce material from these Pathfinder modules. If anyone has more info on Iron Gods I'd be keen to hear about it. Lastly, 2013's Reign of Winter always struck me as a good fit for Greyhawk and for good reason. "It has been a century since the immortal witch Baba Yaga last visited the world, and the hour draws nigh for her return. But when she fails to appear in the frozen realm of Irrisen to usher in its newest ruler, pockets of winter begin to grow throughout the Inner Sea region. After 1,400 years of perpetual winter, the icy curse of Irrisen is spreading! What links do these strange blizzards and swaths of wintry landscapes have with Irrisen, and is there any truth to the growing rumors that the Witch Queen Elvanna has taken full control of the realm? Can her plans for the Inner Sea be thwarted, or will the Reign of Winter engulf the world?" This one ties indirectly to Greyhawk already since we learned from Greyhawk canon that Baba Yaga is the mother of witches on multiple worlds, after dropping Iggwilv off on Oerth. Her reign in Perrenland wasn't as long as Elvanna's in Irrisen however, and she went off to dabble in the Abyss. However, with Reign you could either run it as is in Greyhawk or perhaps in a grand campaign that crosses worlds with Iggwilv and Elvanna involved in some scheme. Again, if anyone who has ran Reign, I'd love to hear about it's story elements. There is enough material out there to adapt to a Greyhawk setting that I no longer look to beg at the WotC table for potential scraps. 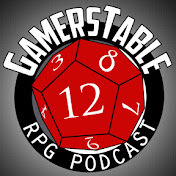 In particular, I really like the material that's come out of Paizo over the last few years. Very high quality and adaptable. 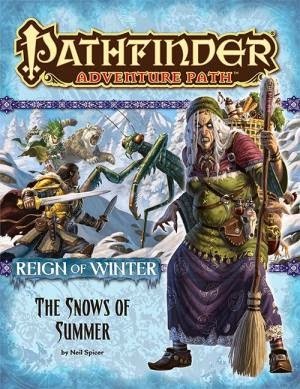 Paizo has become very adept (If not mastered) the Adventure Path method for adventures. One of the earlier APs is rumored to have been the one they'd have used after the Savage Tides had the Dungeon remained in their hands. The Legacy of Fire AP is rumored to have been set in the Baklunish regions before being converted. WHile it was still a 3.5 AP I feel it would fit in well in the Baklunish regions.